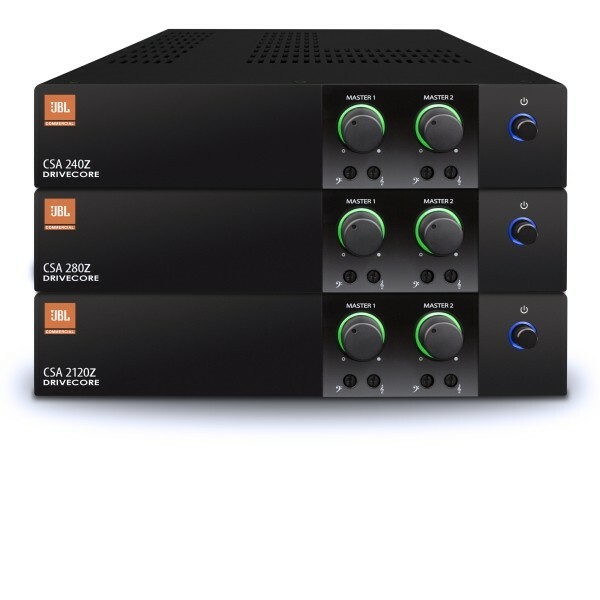 Online Catalogue | Audio | Amplifiers | JBL Amplifiers | JBL CSA2120Z - 2 Output Channels With 120W Output. 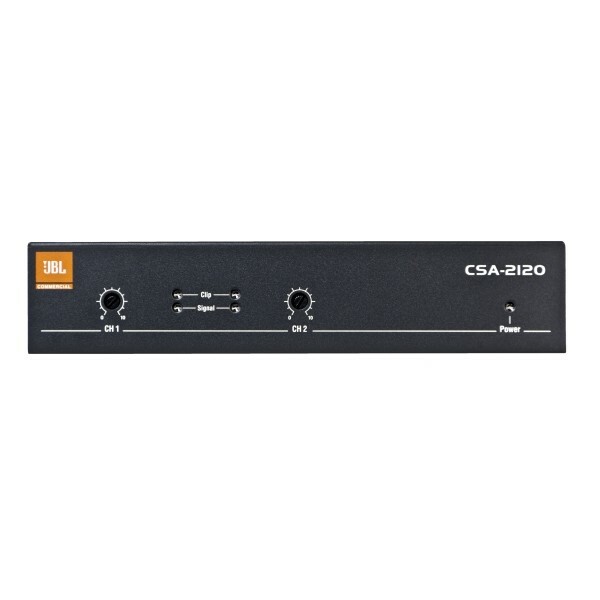 JBL CSA2120Z - 2 Output Channels With 120W Output. Built-in 70V And 100V. Fanless, Space-saving 1U Design. Sleep Mode Disable Function. Energy-efficient Drivecore Amplifier. Sleek Industrial Look With Illuminated Rings Making Knobs Easy To See And Use. Supports The JBL CSR-V via CAT 5. From the switch-mode universal power supply to the efficient performance of Crown’s DriveCore Technology, we continue to set new standards in commercial power amplifier technology.